Have You Ever Seen a Possum Drop? Whenever he heard of something particularly strange, odd, or curious, my uncle used to say to me, “Boy, I been to three county fairs and a hog callin’ and I ain’t never heerd o’ nothin’ like that!” I don’t remember ever going to a county fair and I know haven’t been to a hog calling, but this event has had me laughing all day! 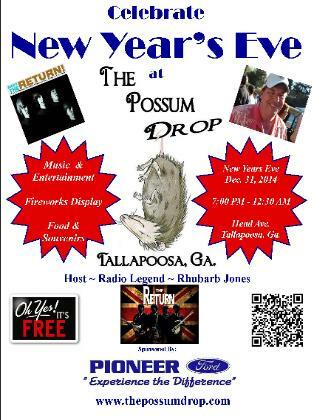 I’m talking about The Possum Drop on New Year’s Eve over in Tallapoosa! The Empire State of the South, Georgia. The home of peaches, peanuts, Coca-Cola, Billy Carter, and the Possum Drop. Wait… wasn’t there a President from Georgia? You heard me right. 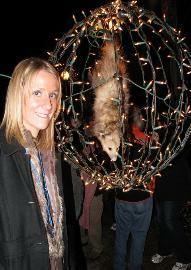 The New Year’s Eve Possum Drop. My darlin’ ol’ friend, Edith Arms, in Birmingham, Alabama told me about it. So, I had to do some checking. Let me tell you what I know. You’ve seen the ball drop at midnight in Times Square, New York haven’t you? Course you have. Well, this is the same thing… kinda. 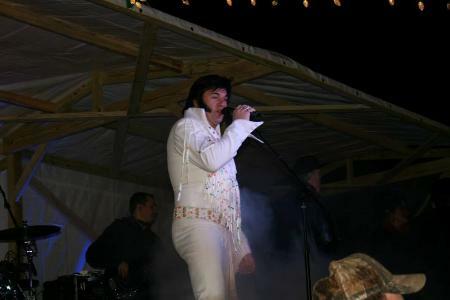 Over in Tallapoosa, Georgia they have a big New Year’s Eve shindig complete with a Beatles tribute band called The Return and the ubiquitous Elvis impersonator, as well as a Possum King and Queen. I know, I know, I haven’t said a word about a possum yet, have I? 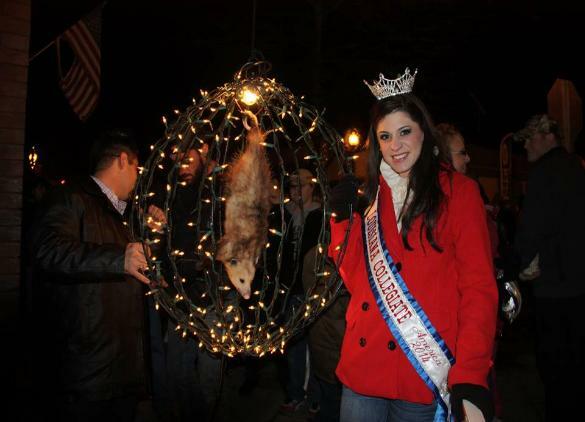 The good folk over in Tallapoosa have a taxidermied possum ensconced in a wire cage, wrapped in tiny lights. As midnight approaches, the possum is slowly lowered, Times Square fashion, as the seconds count down to the New Year. Now who in the world would think of such a thing? As far as I can figure it, the whole thing is the brainchild of a fellow named Danny Welch and the Master of Ceremonies is a famous country music DJ, Rhubarb Jones. Attendees, now numbering in excess of 3,000 are treated to food vendors, T-shirts, souvenirs, live music and fireworks at midnight. I think it’s one of the funniest things I ever heard of in my whole wide life. I also think it’s just one of the many marvelous things that make living in the South such a special experience. Oh, there are haters, to be sure. One segment of Tallapoosa’s citizenry sniffs and turns up their noses as make their venomous pronouncement that the celebration is “Rednekkid” and avoid it altogether. I wouldn’t imagine they’re missed much. The Learning Channel (TLC) got wind of the celebration that now attracts visitors from across the country and sent a crew down to film their New Year’s Special for a dreadful program called Here Comes Honey Boo Boo. The possum, named Spencer, stays at ground level for most of the night so folks can “git their pitcher made” with him. About half an hour before midnight, he gets hauled up to the top of the American Hometown Realty Building. The crowds go wild as he is slowly lowered to the ground and the New Year is official in the Empire State of the South, Georgia. I may never get to a hog calling, or even a county fair (do they still exist? ), but I’ve already put The Possum Drop on my calendar for 31 December 2015. There are some things out there that just shouldn’t be missed. Don’t you agree? 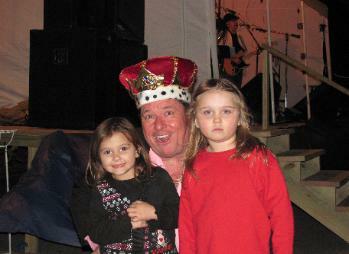 This entry was posted in New Year, Possum Drop and tagged Celebration, Danny Welch, Georgia, New Year, Possum Drop, Possum King, Possum Queen, Redneck, Rhubarb Jones, Tallapoosa. Bookmark the permalink. 2 Responses to Have You Ever Seen a Possum Drop? Yup and you need to “git their pitcher made” with him. As it’s a new year, I thought I’d drag this ol’ possum out for a re-run. Happy New Year, everyone! Thank you for your continuing support of this blog!